But the truth is Mike Treen and his comrades were not the only heroes for braving the sea with the aim of breaking the hermetic Israeli military blockade on the impoverished and isolated Gaza Strip. Without those who were present at the Auckland airport upon Mike’s arrival and without the thousands of supporters all across the world who have mobilized as a community — held numerous meetings, raised funds, created a powerful media discourse and so on — Treen’s attempted trip to Gaza would not have been possible in the first place. 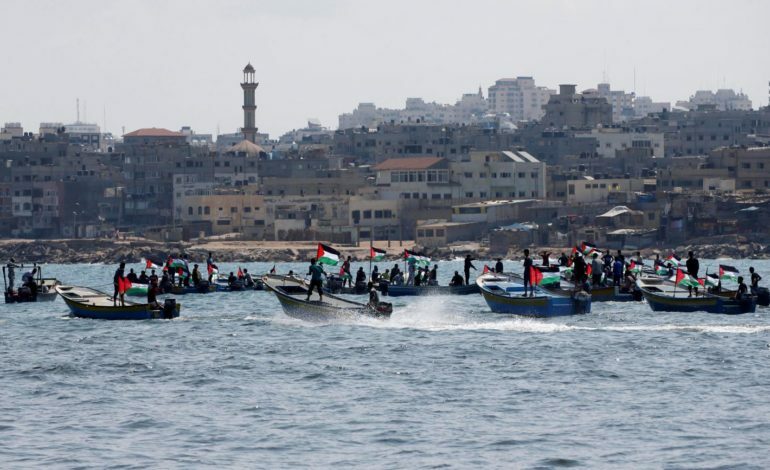 The first boats to successfully break the Gaza siege, in October, 2008, were the “Free Gaza” and the “Liberty.” They carried 44 people from 17 countries. The activists wanted to push their countries to acknowledge the illegality of the Israeli blockade on Gaza and to, eventually, challenge the siege. Their triumphant arrival in Gaza 10 years ago marked a historic moment for the international solidarity movement, a moment, perhaps, unparalleled. 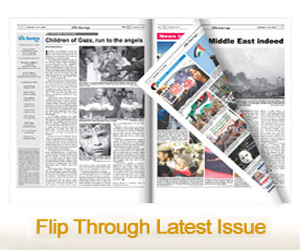 Since then, Israel has launched several massive and deadly wars on Gaza. The first war took place merely weeks after the arrival of the first boats, followed by another war in 2012 and, the deadliest of them all, in 2014. The siege grew tighter. Also, since then, many attempts have been made at breaking the siege. Between 2008 and 2016, 31 boats have sailed to Gaza from many destinations, all intercepted, their cargo seized and their passengers mistreated. The most tragic of these incidents was in May 2010 when the Israeli navy attacked the “Mavi Marmara” ship — which sailed alongside other boats — killing 10 activists and wounding many more. Fowler, himself, along with other New Zealand activists joined the “Lifeline to Gaza” convoy soon after the attack on the “Mavi Marmara”, reaching Gaza with three ambulances packed with badly needed medicine, as the Israeli siege also deprived the Strip of hospital equipment and urgently needed medicine. Coordinating all of this was not a simple task as it also needed to be streamlined with the global efforts for the convoy, which included the dispatching of 140 other ambulances and 300 activists arriving from 30 countries. I also spoke with Mike Treen upon his return from his Gaza sea journey. Treen is a seasoned activist who works daily at defending the rights of workers from across the country. He sees his struggle for workers’ rights in New Zealand as part and parcel of his global solidarity outlook as well. “In my role as part of the union movement in this country, I was also able to explain (to New Zealanders) that innocent working people (in Gaza) are the victims of this siege and that Israel has driven unemployment to over 50 percent for working people — one of the highest rates in the world,” he told me. “Our involvement in international solidarity endeavors such as the Freedom Flotillas has, in turn, sparked a resurgence in other important elements of building the strength of the world-wide movement for justice,” Fowler told me, soon after Treen’s return to New Zealand.